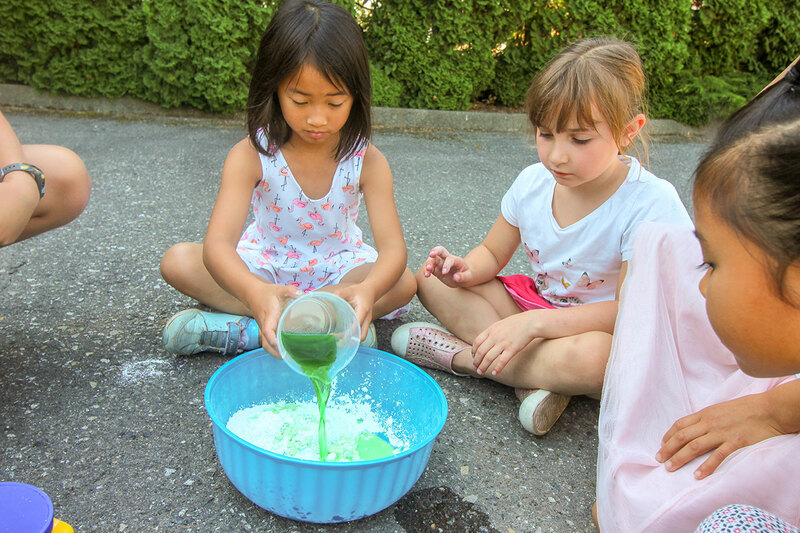 Pear Tree Education is offering the ultimate in Burnaby summer camps for boys and girls aged 5-9. 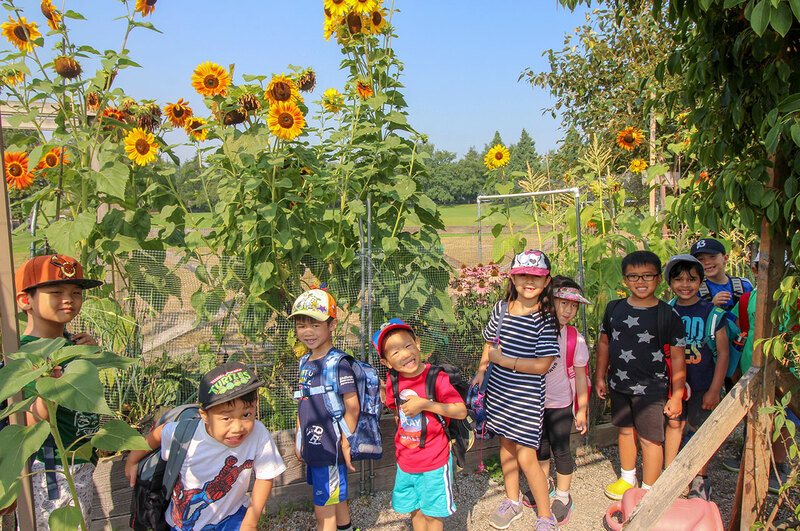 We have summer camps at our Burnaby (see below), Vancouver and East Vancouver locations for 8 weeks (starting 2nd July and finishing 23rd August), with individual summer camps lasting 1 week. 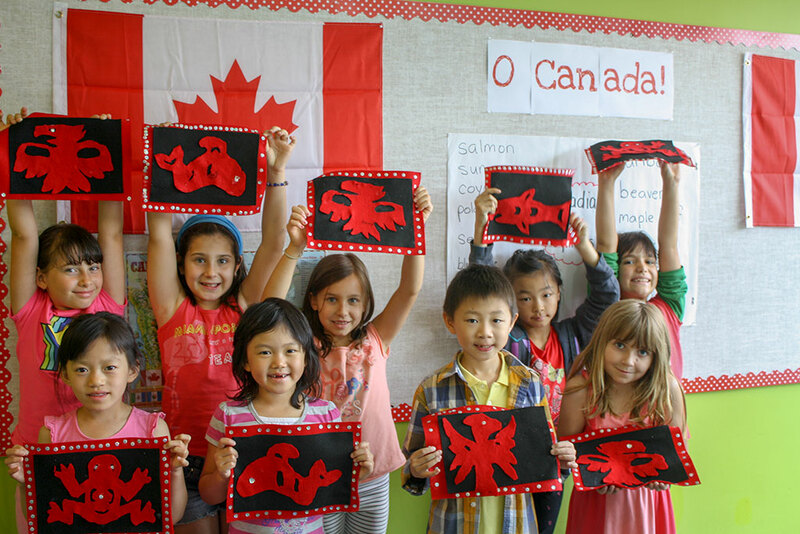 *Note that the Vancouver location offers 9 weeks of summer camps. 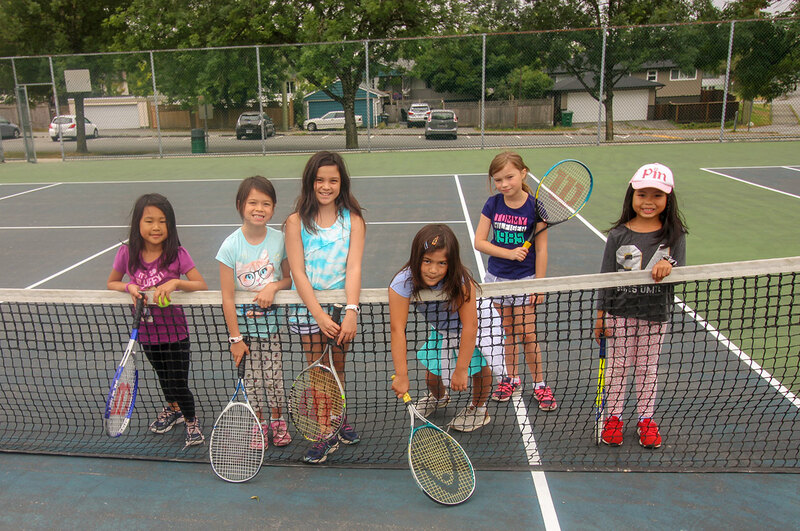 All of our Burnaby summer camps are designed by Pear Tree. 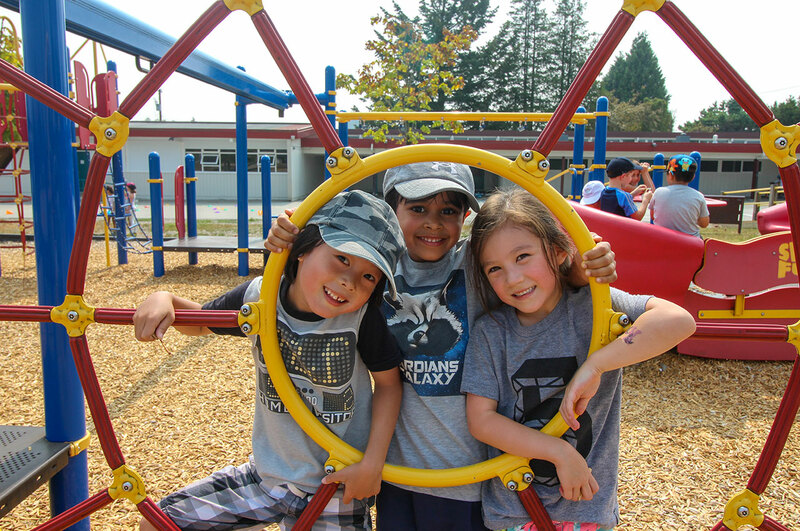 Led by experienced Vancouver and Burnaby school teachers, our summer camps offer exceptional levels of safety, enjoyment and education! Camps are from 9am – 3pm, with options to extend these times using our optional pre-camp and/or after-camp supervision services. 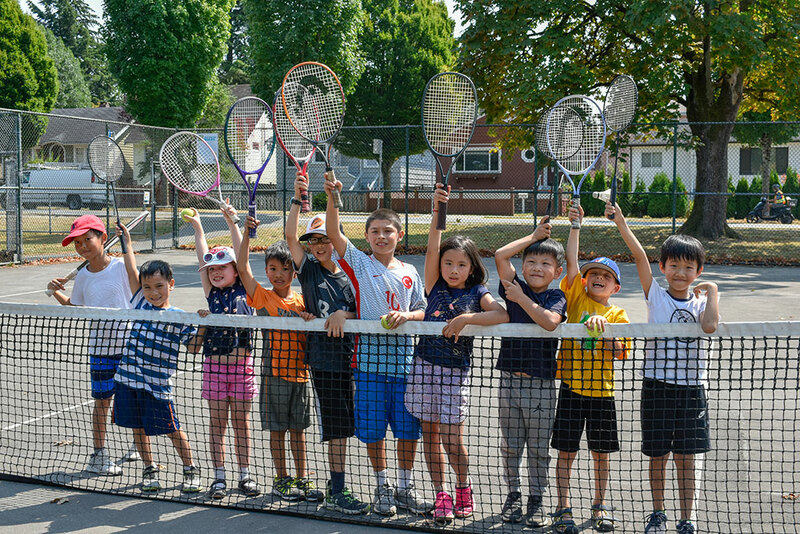 At $275 per 5-day camp, you won’t find a better value for money summer camp anywhere else in Burnaby! We also offer pre-camp/after-camp care ($125/wk combo). Do you like to build things? Are you an aspiring engineer? Then this hands-on exploration course is for you! During this course, you will learn basic building principles and apply your knowledge by taking part in daily structure challenges! 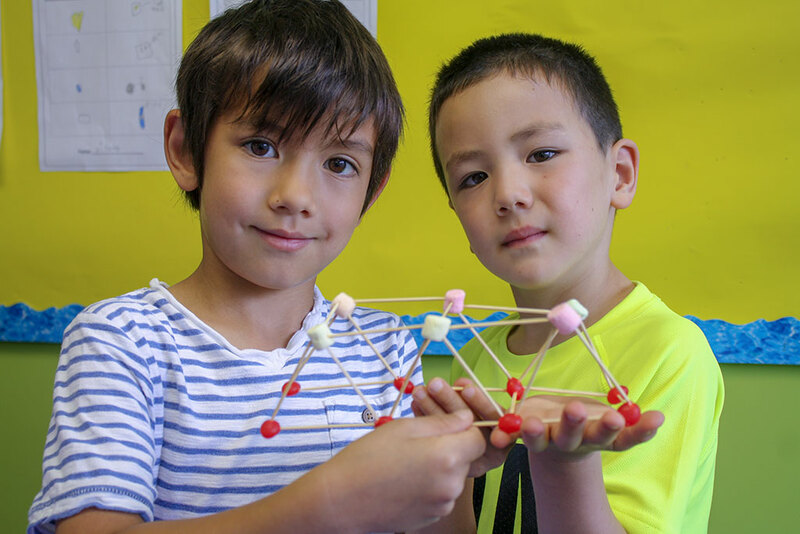 You will learn how to apply critical thinking skills, how to be a creative designer and problem-solver, and apply math, science and design concepts using a variety of building materials, including straws, paper, clay, blocks, K’Nex, Lego and even eggs! Get your lab coats and beakers ready! Science is always fun when you’re doing the experiments! In this exciting, hands-on course, we’ll be conducting a variety of experiments, learning about the scientific method, carrying out observations and recording data in our science journals, just like real scientists. 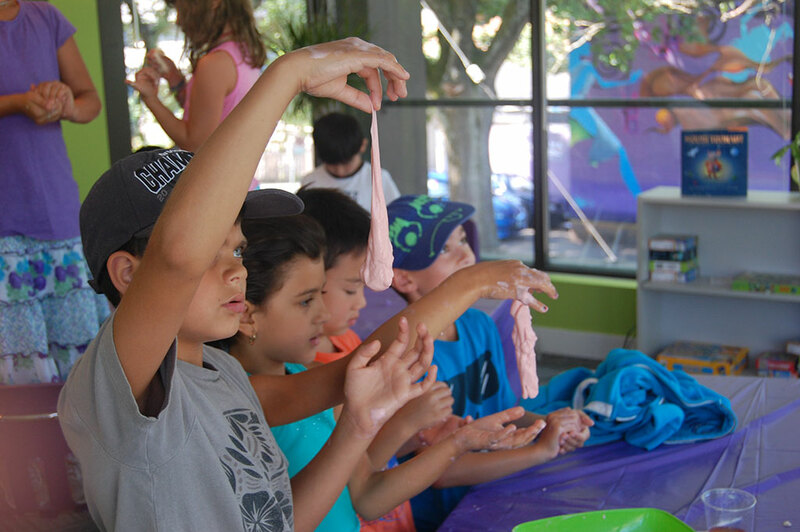 Among our activities will be ‘Flubber’ making, dissections, and even kitchen science, where we get to eat our experiments! Want to learn about how you can “go green”? At Pear Tree, you’ll learn how to be better citizens, both locally and globally, through fun and practical ways. 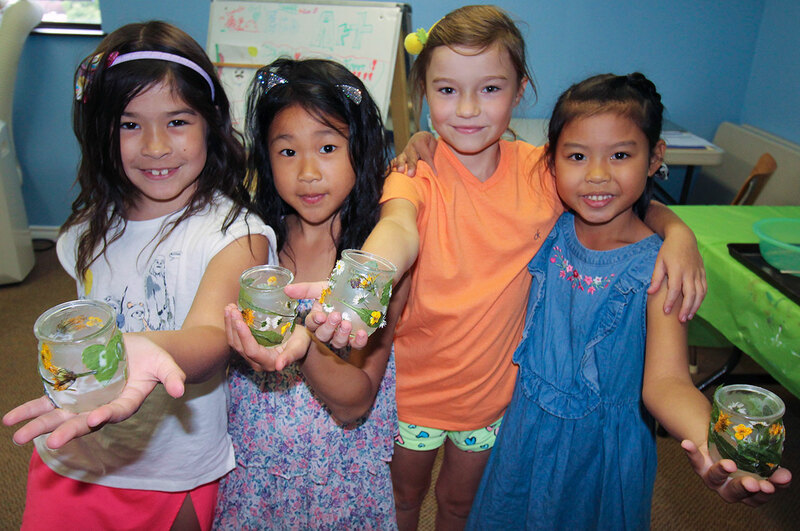 We’ll plant terrariums, create our own worm farm, and even make our own eco-friendly soap! Some great outdoor activities we’ll be doing include participating in recycling relays, as well as storm drain marking to increase awareness about protecting our local salmon streams! Calling all future movie directors! 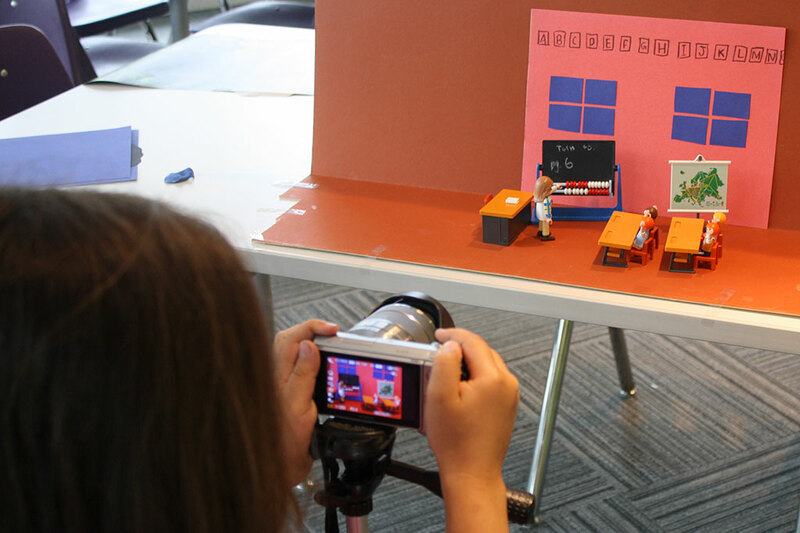 Using computers, digital cameras and interactive Smartboards, your team will create and direct several of your own animations and short films. You’ll make storyboards and scenery, and will create your own short animation and film. You’ll learn how to add voice overs, words, music and sound effects. Each day, we will learn a different drama technique, and we’ll even do some of our own acting to film! PLEASE NOTE: It is recommended that students bring their own digital camera or iPad. British Columbia is the home to many interesting animals. 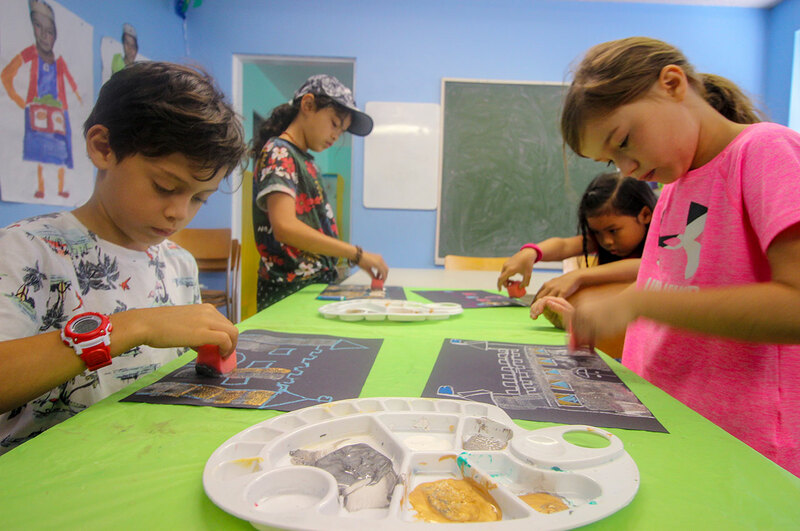 In this course, we will explore these creatures through science experiments, art activities, drama, songs and children’s literature. Some of the creatures we will explore include local brown bats, grizzly bears, humming birds, orca whales, and owls. Students are sure to leave this course excited about our local wildlife! Whether you’re already sporty or an aspiring athlete, this week is a great way to get outside with new friends and get moving! Each day, there will be skill-based activities related to specific sports, and many opportunities for collaborating with peers. We’ll be playing games like Capture the Flag and California Kick Ball, as well as more traditional sports like tennis and soccer. Not only that, but we will be doing different fitness-based activities to improve our strength and stamina! Each day, different students will have opportunities to model and explain these activities, which help public speaking and leadership skills. This week will be held outdoors, rain or shine! 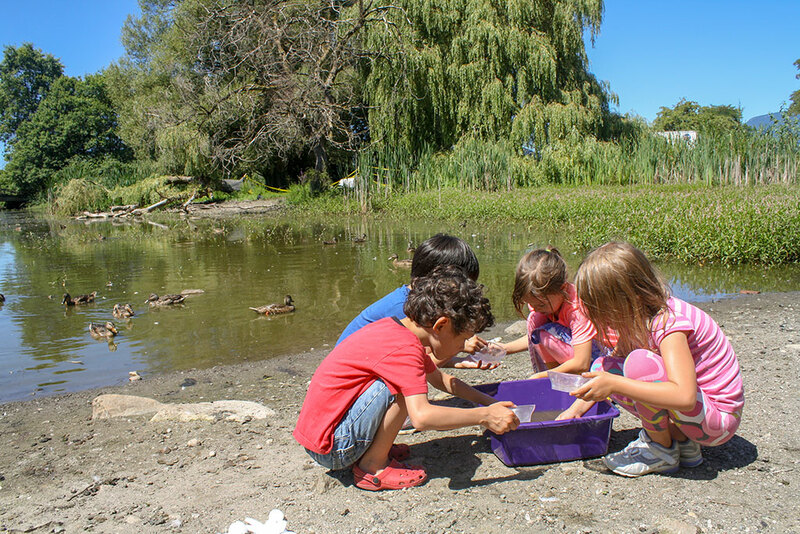 Ponds and wetlands are an important part of Vancouver’s ecosystem, and as young biologists, we’ll study some of wetlands features up close. We will learn about the life cycle of a frog, study water plants, observe local birds, and do pond dipping! Each day will have a different focus and we will explore through art, drama, literature and experiments. This course includes a field trip to a local pond, where we can observe a wetland habitat’s features. You’ll learn all about basic digital photography techniques and use these to take some great photos. As well, you’ll have the opportunity to turn your photos into cards. PLEASE NOTE: It is recommended that students bring their own digital camera or iPad for this course. As painters, we will have lots of time to try different paints and painting techniques! We’ll work with water colour, acrylic and tempera paints. Our paintings will be inspired by nature, animals, literature, our friends and family, and even the summer weather! The young artists of this course will have a small portfolio of art pieces to share with you at the end of this week. We are so lucky to live as close as we do to forests and beaches! Connect to Nature is a great course for students who love to spend time outdoors. During the course, we will do many Waldorf-inspired nature crafts, play nature games outside, and get some time both in the forest and at the beach. 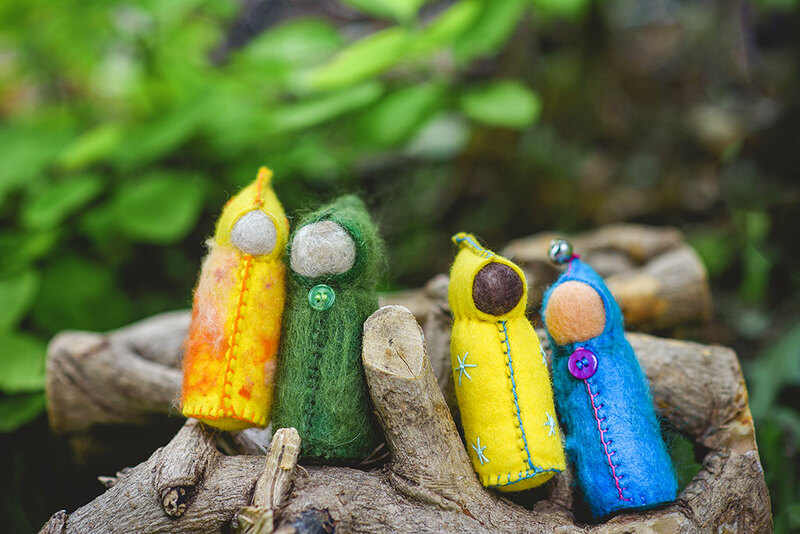 Some activities include wood burning crafts, nature mobiles, exploring music and nature, and building mini gnome houses. 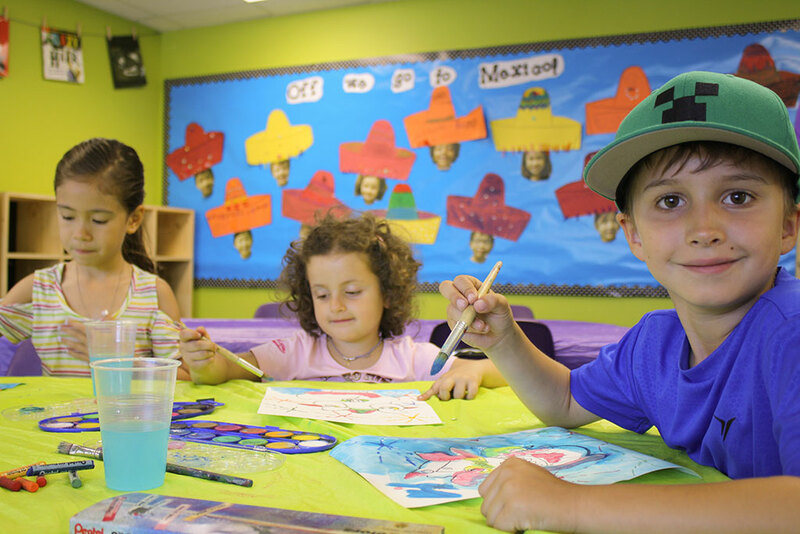 Let your imaginations run wild in this class! 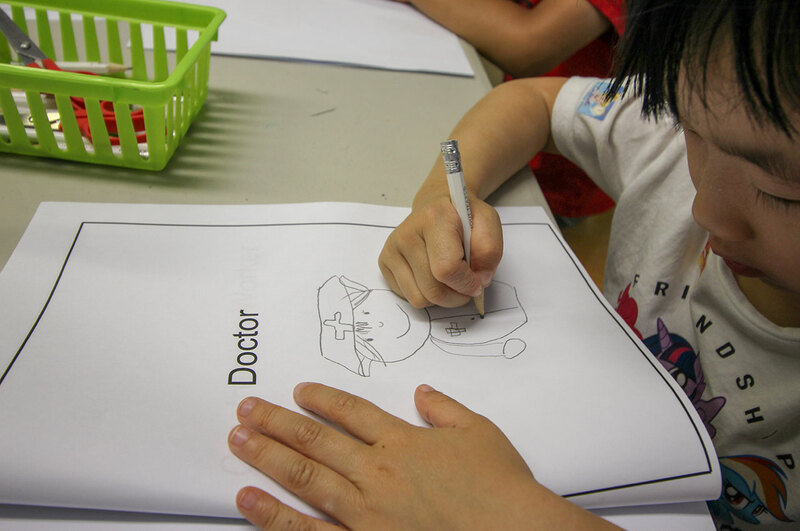 Dramatic play is not only fun and engaging for young children, but it’s an important way for them to explore and make sense of the adult world. Our drama specialist will engage students in a variety of drama-based games, and provide a safe environment for children to try out different roles. 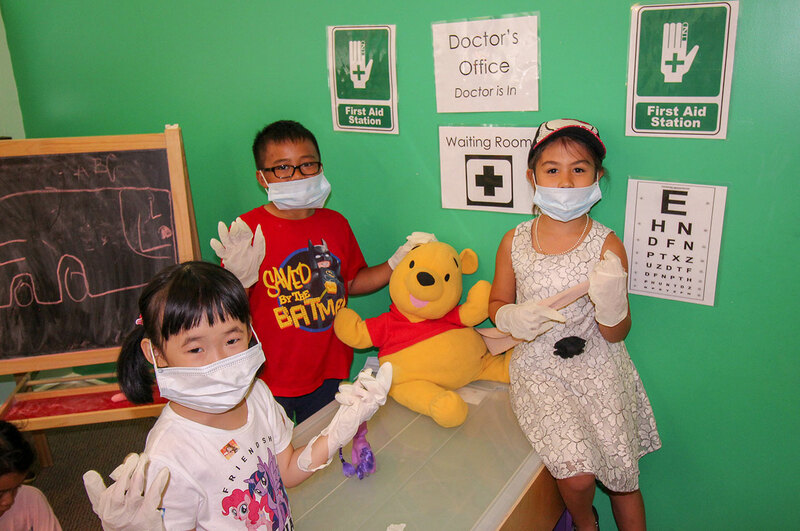 Students will also have lots of opportunities for play-based learning in our dramatic play centers. Let’s celebrate the amazing country we live in! We’ll read different stories about Canada and Canadians, make some Canadian food, create some epic pictures and paintings in the style of Emily Carr, learn about some great Canadian inventors and inventions, be inspired by Canadian athletes, and look at Canadian wildlife and nature. Phew! So much in 4 days! 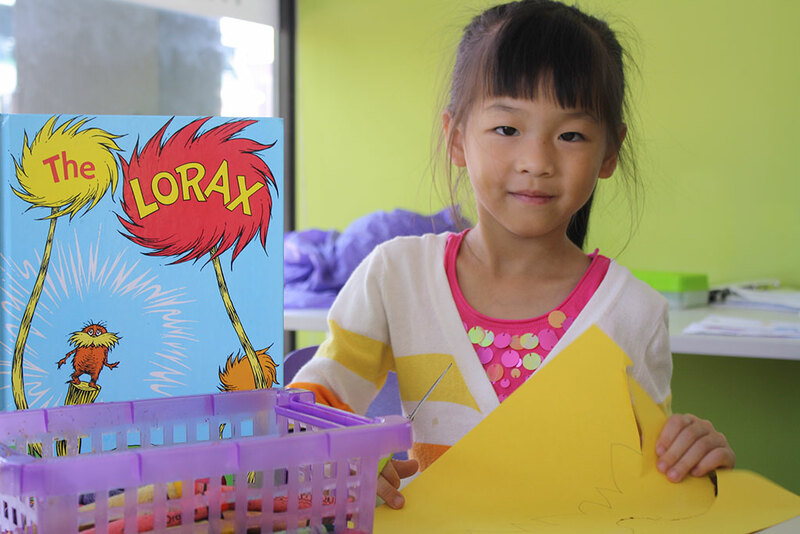 In Pear Tree’s Story World camp, we’ll explore graphic novels, picture books and short stories as a way to develop our literacy skills! Each class, we will explore different authors and genres. 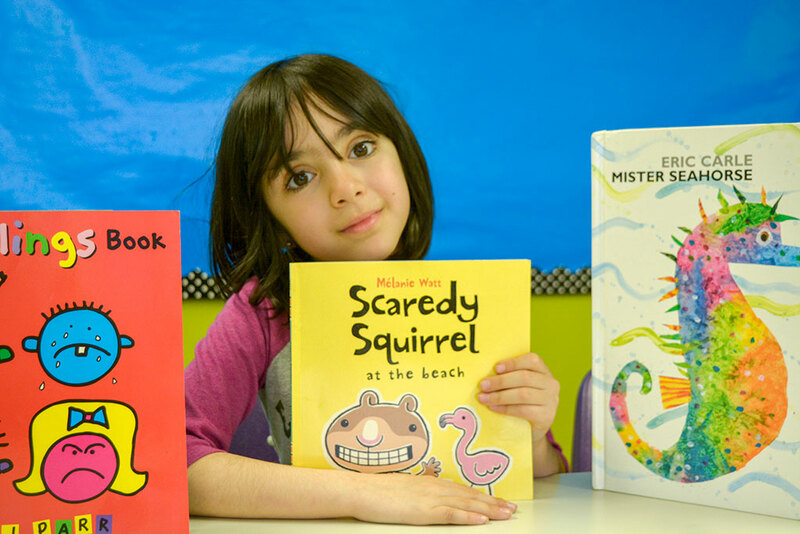 These books will inspire art, drama and other activities. We will even make our own short picture book! Do you know what it takes to fly to Mars and to live there? 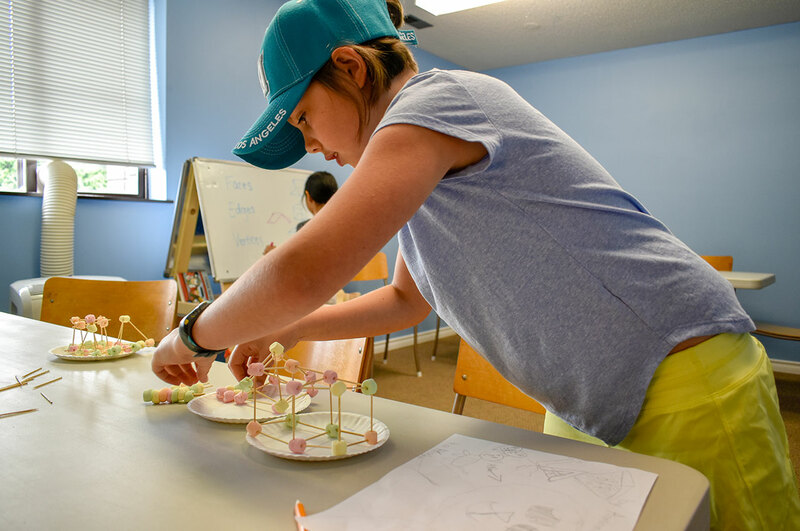 Take a trip into space with Pear Tree’s out-of-this-world Space camp! Conduct experiments related to space flight, planets and the Moon. 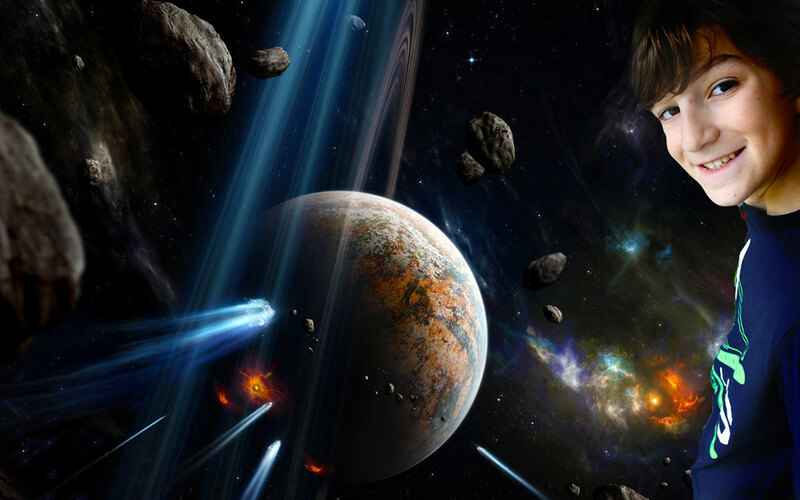 Re-create our solar system.Learn about the possibility of living on other planets, such as Mars. And, research about different planets and discover how math helps us compare these planets. As the final project, create an epic Mars colony that factors in real-life human survival needs! This course includes a field trip to H. R. MacMillan Space Centre. We will travel the world in 5 days! Each day, students will focus on a different region of the world. 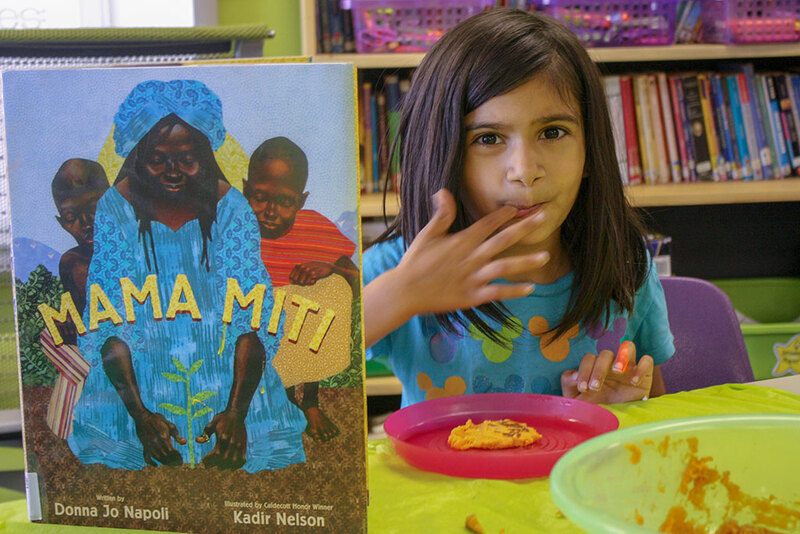 Our class will study songs, art, stories, dances and traditions from various countries. We’ll even make and try some food from other countries! Some of the places we’ll study include Kenya, India, China, France and Mexico! Mixed media is the best of all art forms, because it blends a variety of them to make masterpieces! Rather than focusing on one form of media such as a piece of art that only works with paint, these pieces will include a variety of media. Some of our art pieces will include painting, papier mache, fabric, wood, and pastels. We will also incorporate photography, magazine ads and different fonts. Amazing Artists is a wonderful course to exhibit creativity while still learning about different art techniques. 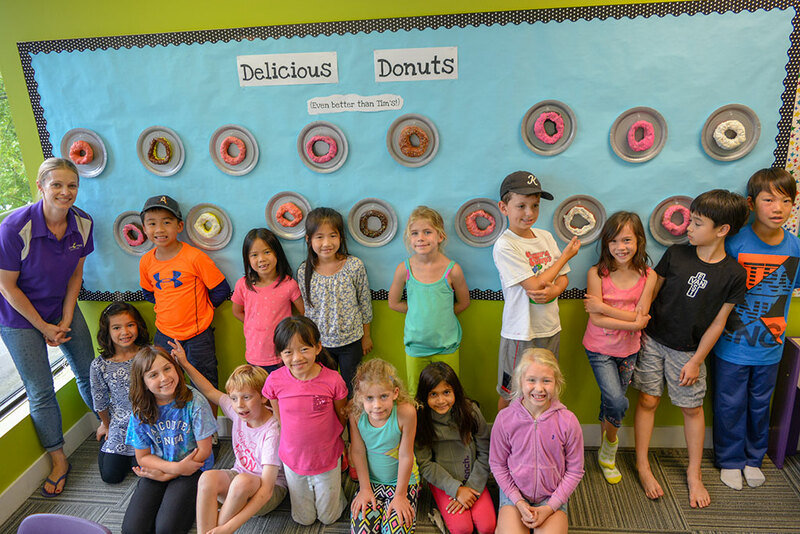 By booking 4 weeks or more of our Burnaby summer camps, you could save up to 20% off our regular price. We’re confident you won’t find a better value for money Burnaby summer camp! Prices are for 5-day weeks. On weeks with statutory holidays, the price will be calculated for the actual number of days. 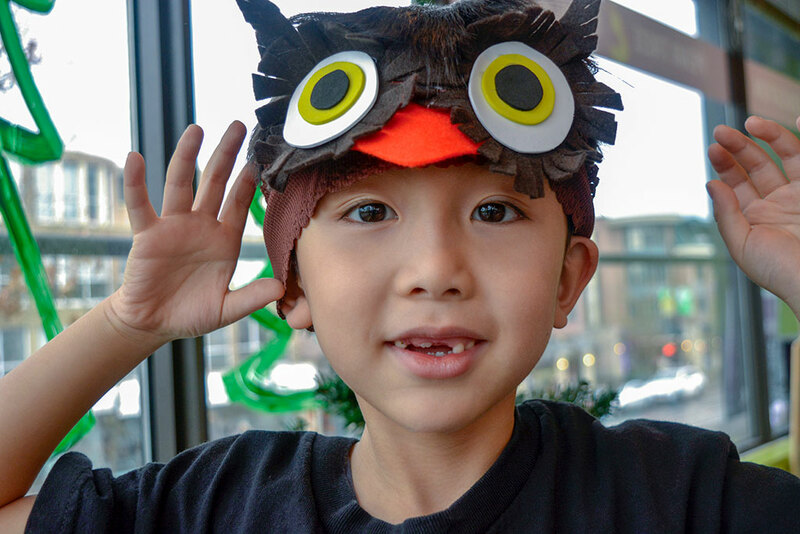 2) Register now for Pear Tree’s Burnaby Summer Camps! CAMPUS ADDRESS: Brentwood Park Alliance Church, Delta Avenue, Burnaby, B.C. Each camp registration requires a $100 + GST non-refundable deposit per course, which is to be paid immediately upon registration. To register, either book online using Amilia (option 1), or fill out the following registration form (option 2). Please note that if you choose Option 2 and do not pay your deposit, you will be asked to re-register using Option 1. This is not an enquiry form. By submitting this registration form, you are acknowledge that you are registering for our camps. 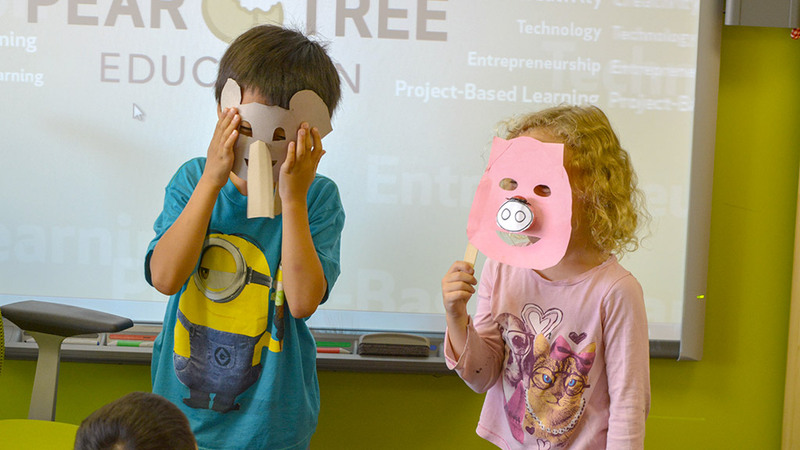 Pear Tree Education is about to change your idea of summer camps. With any Pear Tree summer course, your child will spend as much time as possible outside, experiencing education hands-on in the open air. 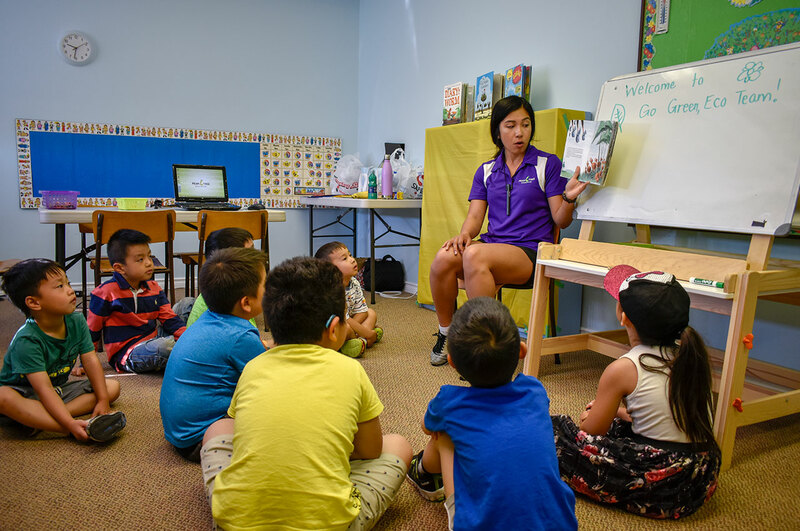 Your child will learn and experience diverse skills and goals, such as multidisciplines (science, math, social studies, and language arts), creativity, teamwork, technology, public speaking, and critical thinking. 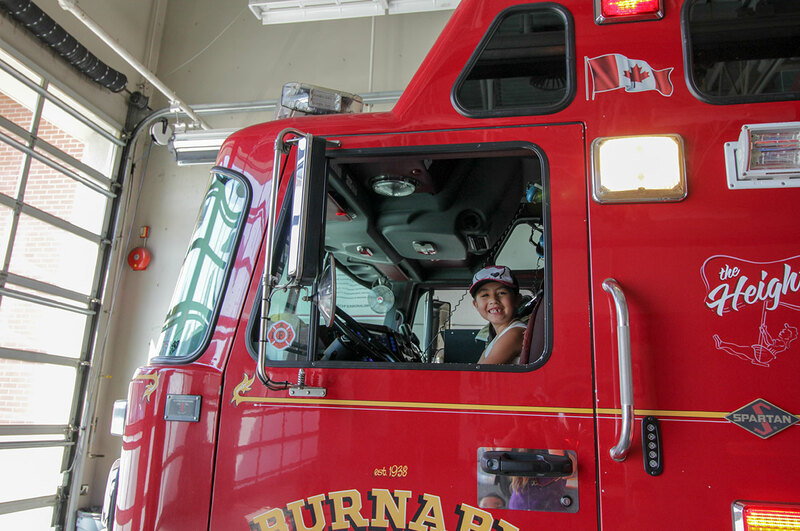 Furthermore, Pear Tree offers some of the most unique educational experiences, connecting education to the Burnaby community! 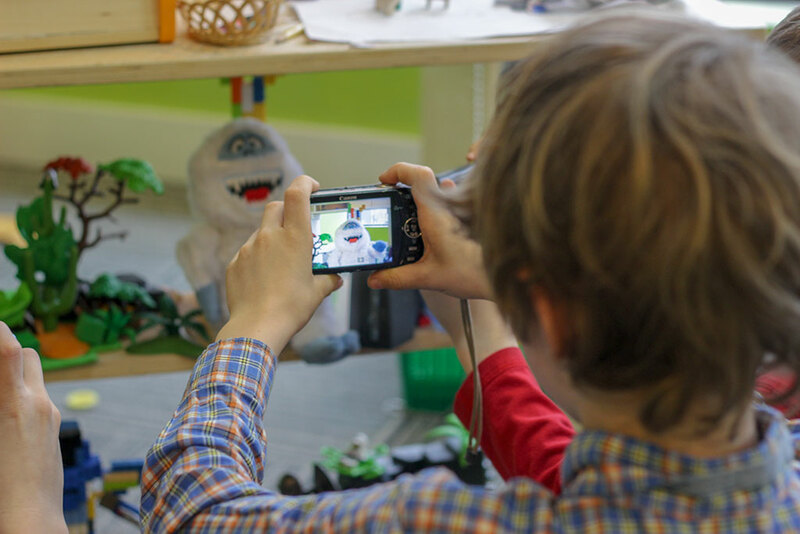 If your child has never taken a course with Pear Tree, we’re about to change your understanding of education, too, because Pear Tree Education is Vancouver’s one and only 21st century learning centre. All of our courses are taught by fully-qualified, experienced school teachers passionate about our system of learning. We’re confident you won’t find better a educational summer camp. Our Burnaby camp is located at Brentwood Park Alliance Church, situated on Delta Ave, just off Lougheed Highway and Willingdon Avenue.